With the help of business owner David Green of Primex Garden Center, Garden to Table will promote recovery, sensory stimulation and endurance training for patients. 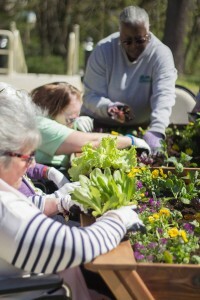 Abington, Pa. — This spring, Nationwide’s Brookside Healthcare and Rehabilitation Center will launch a new horticultural program for residents. The program, which is open to residents of all ability levels, is designed to stimulate the senses and provides creative ways to engage and promote recovery. Garden to Table will allow residents to practice daily activities safely while working to reclaim their independence. Andrew Merklinger, CDM, CFPP, Corporate Executive Chef of Pinnacle Dietary, will draw on his expertise in designing a weekly menu based off of what residents are helping to grow. Chef Merklinger specializes in developing trend-setting and inventive dishes and will continually adapt culinary offerings to take advantage of the garden’s latest offerings. Gronomics elevated boxes: These Western Red cedar boxes are specially designed to accommodate wheelchairs. Flower beds: Raised flowerbeds are constructed to accommodate wheelchair residents and standing residents alike. Short-term rehab patients can stand and use the raised beds to work on stability and endurance training. Monthly Garden Club: Experts from Primex Garden Center, Glenside will lead monthly informative discussions about the best ways to utilize your garden to transform your personal meals. The Garden to Table program is the latest announcement for Brookside’s new state-of-the-art rehab facility and social center, which is undergoing more than $2 million of renovations. 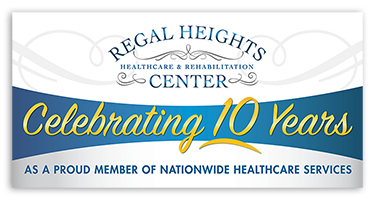 The new facility enables patients who are undergoing rehabilitation to recover closer to home while receiving care in a state-of-the-art space to allow patients to quickly re-integrate back home and into the community. In addition to superior gym facilities, the upgrade allows patients to practice daily activities in a 6,400 square foot area with pleasant lighting and technologically advanced equipment and programs. Brookside Healthcare and Rehabilitation offers therapeutic programming for seven days a week for all our residents and with the new offering, our long-term residents regardless of ability level can benefit from this program through touch, taste, smell and sound. Primex Garden Center, of Glenside PA, is a family owned, independent, all season’s garden center, nursery and greenhouse. Primex has been located in Glenside serving the local community and the greater Philadelphia region since 1943. The company features locally sourced indoor and outdoor plants and an extensive line of gardening tools and supplies. Primex has an extremely knowledgeable staff of horticulturalists, garden enthusiasts, arborists and Pennsylvania Master Gardeners. Visit them on the web at www.primexgardencenter.com. For additional photos of the event, please click here.